The EU-skeptical, ultra right-wing and right-wing populist parties in the European Parliament try to get themselves organized. Most likely there will be three EU-skeptical party families and one of them might be the third biggest faction. 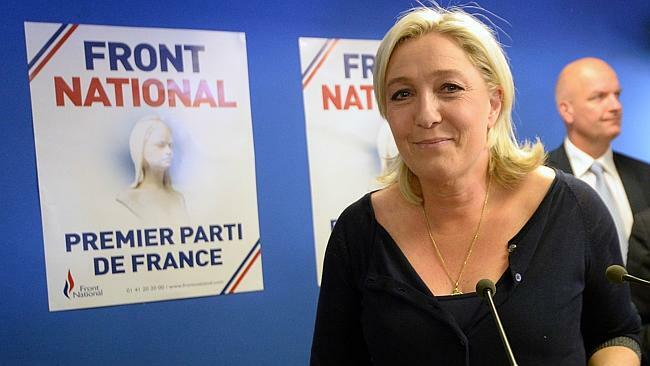 The project for a far-right party led by Marine Le Pen’s Front National will come into existence and also the future of Nigel Farage’s EFD seems to be now secured. All of these EU-skeptic parties have different aims, from leaving the Euro to abandoning the union. All three parties are not characterized by strength but rather weakness looking at their party programs. Led by the Tories from the UK who in fact lost seven seats, a vote on Thursday allowed the anti-Euro party Alternative for Germany (AfD) into the ECR with its seven members. The vote was very close as 29 current members of the ECR were in favor while 26 wanted the AfD out of their alliance. UK Prime Minister David Cameroon said that AfD should have stayed outside (trying to keep a promise to Merkel) but reportedly two Tories have voted in favor of AfD and tipped the scale in favor of AfD. In stark contrast to the vote, AfD leader Bernd Lucke said that “a clear majority” was in favor of them. Now, the ECR has overall 62 seats in the parliament and could be stronger than the liberals as the third force (ALDE will negotiate on Tuesday whether they allow in up to eight new MEPs in their family). In contrast to the Tories where many members want a referendum in the UK on EU membership in 2017, the AfD is not opposed to the EU but to the euro. In addition to the AfD, a whole range of small parties with just one MEP were accepted. In general, the ECR will move much further to the right of the political spectrum. The existing ECR member of notorious Jaroslaw Kaczynski’s Law and Order Party from Poland will have the same strength as the Tories (19 members each). Furthermore, the ECR accepted the far-right, anti-immigrant Danish People’s Party (DPP) as well as the nationalist True Finns. This decision comes somewhat as a surprise because these two parties are much more radical than the Tories. Also, the German AfD announced in April 2014 that it would not collaborate with right-wing extremists. Well, quite some people would argue that the DPP and the Finns are exactly that. In general, the ECR will have gained in strength (seven more MEPs than in the last period) but will not be as stable as during the last term where the Tories dominated the group. With only 19 out of a total of 62 members, the Tories will be confronted with a more nationalistic tone with very different aims (like on the membership of Turkey or on a free trade agreement with the United States) that will probably weaken the ECR significantly during the next five years. 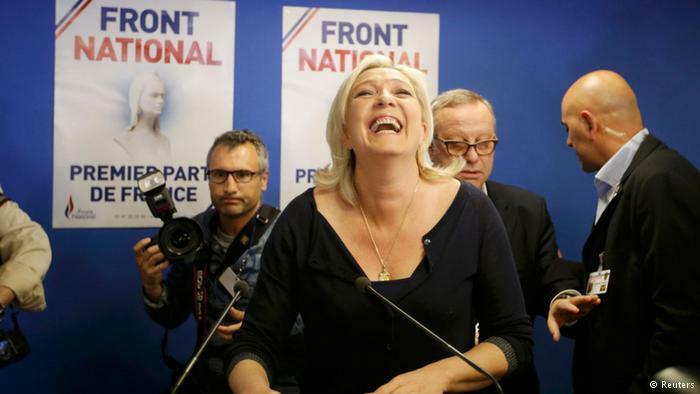 Marine Le Pen’s National Front has won the elections in France and gained 24 seats – and reached by itself almost the necessary 25 seats that are the minimum requirement to form an alliance. What was more difficult is to find partners. While the partners in Austria (FPÖ – 4), Belgium (Vlaams Belang – 1), Italy (Lega Nord -5) and the Netherlands (PVV – 4) gained their seats (although in all four countries these right-extremist parties were not as strong as expected, particularly in the Netherlands), their potential partners in Bulgaria and Slovakia did not make into the European Parliament. Thus, it was necessary to form new partnerships – in Lithuania (Order and Justice -2) and Poland (Congress of the new Right – 4) – which would bring overall 44 MEPs from this new alliance into the European Parliament. However, the Lithuanian party might actually remain in the EFD alliance as the latest sources report. Originally, also the Swedish Democrats should have joined but they did not want to be associated anymore with other ultra-right wing parties for domestic reasons. Thus, one party seems to be still missing but most probably will be found in Bulgaria. The Dutch far-right eurosceptic Geert Wilders whose Freedom Party (PVV) gained a disappointing 10% or four seats in the elections, decided to accept the seat in the European Parliament although he wants to remain a member in the national parliament. This goes against the European Parliament’s rules of procedures and for that reason he filed a complaint at the European Court of Justice. Wilders himself is subject for a possible prosecution for discrimination for anti-Moroccan comments before the elections. Another “interesting” figure is Poland’s newly elected MEP Janusz Korwin-Mikke who is anti-EU, pro-Putin and according to his own statement anti-women as “evolution has ensured that women are not too intelligent.” He gained 7.2% of the votes and called the EU a “communist project” and Barroso a Maoist. Overall, this ultra-right wing alliance is a collection of forces that want to outright leave the union (like the PVV) while others have a more neutral approach (like the FPÖ). They are all certainly united in their approach to be tough on immigration, often garnered with very racist and islamophobic remarks, as well as the destruction of the euro, the reintroduction of boarder controls and more power for the national governments. However, already in the past such extreme right wing parties in the European Parliament did not exist for too long because the ideological hurdles were too big, and there are some indicators that during this period, they will fall apart as well. Parties from: Czech Republic (1), Italy (17), Lithuania (2), Netherlands (1), UK (24); Bulgaria?, Sweden? Nigel Farage was one of the winners on 25 May. His UKIP gained some 30% in the UK elections and gained 24 seats. On Thursday, he also declared that Beppe Grillo’s Five Star movement (M5S) from Italy would join the EFD, bringing in 17 seats. This sounds a lot, but in fact the turn out for the Five Star movement was very disappointing with its 21% as it were prime minister’s Renzi’s Social Democrats that gained a huge victory over the populists. Although this movement includes a lot of ecological points in their program, they did not decide to join the Greens but rather a populist group like themselves. Ideologically, however, UKIP and the M5S are far apart in many points like on austerity. In general, the future of the EFD looks uncertain. In the first place, the MEPs from France, Greece and Slovakia were not re-elected into parliament. Despite the gain of the Five Star movement, not less than three previous allies have left the EFD which is not really a sign of strong partnerships that have been built throughout the last five years. Lega Nord (Italy) left for the new ultra-rightist party while the Danish People’s Party and the True Finns left for the ECR. Now the EFD leadership has quite some headache to remain their alliance alive. Other groups should include the anti-immigrant Swedish Democrats, and the Czech Party of Free Citizens (just one MEP) and the Netherlands’ Reformed Political Party (consisting of just a single MEP as well). It is unclear whether the Order and Justice Party (Lithuania) will remain and apparently the Swedish Democrats do not dare to join EFD at this point. The Lithuanian contribution led by Roland Paksas is known for its involvement in corruption and Paksas himself wanted to reintroduce the death penalty when he was president of Lithuania. Also the announcement of Farage that he wants to switch to Westminster in May 2015 after the general elections in May 2015, is not strengthening the EFD. On the opposite, the EFD is so far very much tailored on him with his aggressive and Europhobic speeches in parliament. I was myself in the room when Farage attacked Herman Van Rompuy in the European Parliament that he would have “all the charisma of a damp rag and the appearance of a low-grade bank clerk.” If Farage would switch the benches, he would certainly not be missed in Brussels and Strasbourg. Until today, it is not clear if UKIP can sustain the EFD. While the minimum of 25 MEPs is easily surpassed, there remains a big question mark whether seven parties from different member states can be united. So far, there is only the commitment of four parties. Nonetheless, UKIP is optimistic to gain some 50-55 members which would make it the fifth largest force in the parliament. If they make it, EFD will have surely a very different face than during the last period, but the populism and anti-EU slogans will remain. ECR and EFD will be stronger than during the last period of the European Parliament and in addition there will be an extreme right alliance. Although this should be a matter of concern because all three parties stand for a Europe that is not tolerant and open and is against further integration of the union. The last word is not spoken how these alliances will look like and the negotiations are still ongoing. Particularly some parties consisting of just one MEP might still join one of these three parties. On a policy level, it remains to be seen how effectively these parties will work due to their enormous differences in their political views. As it is unclear if the EFD will make it in the first place, the likelihood that the new ultra right-wing alliance will fall apart is also quite high because the common points are mostly working against something but hardly are based on constructive policy-making. This is usually a strategy for failure and a hope for all those concerned that right-wing politics will overtake the parliament. They also should be reminded that maybe some 160 MEPs will be part of euro-skeptic forces. This is still a clear minority though of the overall 751 MEPs.